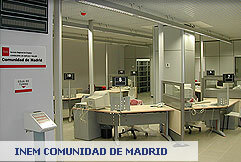 TI2000 is a Spanish Company, with more than 10 years of experience in the development of systems and products to improve the attention to the clients of any type of Entity: Banks, Savings, Official Organizations, Hospitals, Corporations, Public Administrations, etc., in a professional way, and always using the latest technologies available. TI2000 is a homologated supplier of maintenance services to numerous government institutions, financial entities, big and medium size companies. QSystem is the first Intelligent Queue (and Customer Services) Management System, for use in the public attention areas of Entities, that has been completely designed and manufactured in Spain by TI2000, according to the ISO 9001:2000 Quality Standards, and using the latest state of the art technology. The Visitors Control System QAccess speeds up the capture of the Visitor Identification Data, by means of an IR Optical Reader, that reads the OCR data in Passports, Visas, Identity Cards, (and any other travelling documents according to ICAO 9303 standard), for controlling the Visitors’ access into buildings and any other controlled areas. Copyright © 2005-2006 Tecnología Informática 2000, S.L. C/ Aguacate, 41, Piso 1, L3 28054 - Madrid. Tfno. 91 730 11 96 - Fax 91 738 91 06.